Professor Adrian Rennie (UU) –– An international collaboration of researchers from Sweden, Namibia and the UK have used neutron reflectivity to investigate the properties of a seed protein extracted from Moringa oleifera – a plant native to India. By studying the binding of 2S Albumin to various interfaces, scientists can determine how effective it is as a means of binding particles to interfaces in a controlled manner. The team hope that by doing so, they will open doors to future developments in the production of active filters for use in water treatment in remote locations. Their research may also help future scientists to develop methods to design and preserve nanostructures with potential applications in highly sensitive photonic devices. 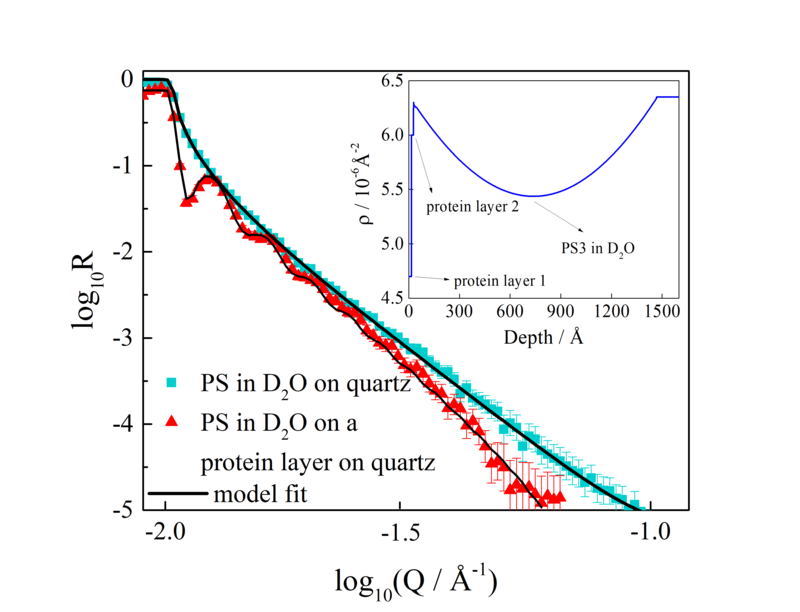 The characteristic properties of neutrons mean that they are especially effective for in-situ investigation of protein adsorption to surfaces and the binding of particles to protein layers. For this reason, neutron reflectometry (Figure 1) was the technique of choice employed by the scientists and what better instrument to use for this purpose than the INTER reflectometer, based at the ISIS Neutron and Muon Source. The way this works boils down to the way in which neutrons interact with the nuclei of atoms. Whilst the science behind this process is intrinsically detailed, the key message to take home is that neutrons are capable of penetrating deep into a sample with very few interactions. In fact, it is this high penetration depth that makes certain materials like Si02 'transparent' for neutrons – which is of course very handy when you want to study the interactions at the water/silica surface. To learn more about INTER and its capabilities, please follow this link.